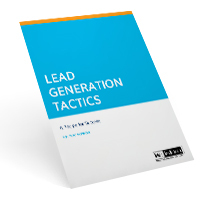 Free B2B sales leads calculator, checklist, and B2B marketing plan guides from Mac McIntosh, the Business-to Business Sales Lead Generation Expert. The Event Checklist is a simple Excel spreadsheet you can use when planning any kind of marketing or sales event including live seminars or workshops, webinars or webcasts, trade show exhibits, etc. 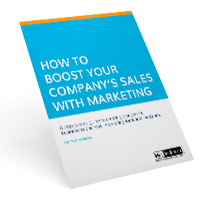 Successful B2B marketing includes using a broad range of tactics. This whitepaper by B2B sales and marketing expert Mac McIntosh illustrates how to target your business-to-business marketing investments and efforts for maximum return during difficult economic times. This worksheet by B2B sales and marketing expert Mac McIntosh is designed to help B2B sales and marketing professionals determine how much new business you really need to meet your sales revenue goals. Calculate marketing ROI with this interactive Excel spreadsheet by B2B sales and marketing expert Mac McIntosh. It is designed to help B2B sales and marketing professionals determine the realistic number of marketing touches, inquiries and qualified sales leads needed to meet your company’s sales revenue objectives. Your Website is often the first place somebody looks to learn more about your company and its products or services. Is your site helping prospects move forward in their consideration and buying process? The primary objective of a successful B2B marketing program is to bring in new business. B2B marketing programs include many elements, ranging from brand building to market research.